You are here: Home / Blog / Duck Dynasty Standing Desk: They know how to stand up! Duck Dynasty Standing Desk: They know how to stand up! So did you see the season finale of Duck Dynasty? I caught the re-run last night and to my surprise the Duck Commander Clan have standing desks! Shocked? I was. It was great to see Duck Commander set a great example of health awareness by transforming their office space. Willie and Jace both talked about how the desk promotes productivity and movement. Si even got on the standing desk bandwagon after he saw they can adjust down to a sitting level. I mean I would get a little nervous for Si if he had to stand eight hours a day while drinking countless cups of tea. 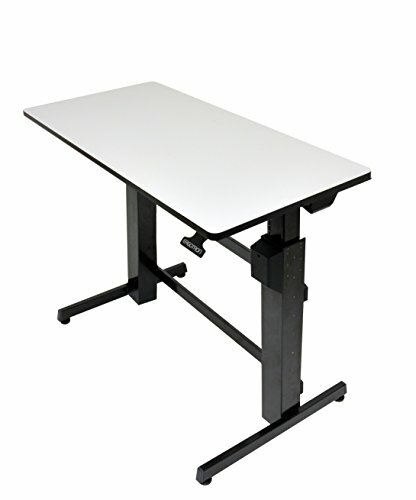 If you are just jumping on the standing desk bandwagon, check out some options below.